Consisting of two natural and yet seemingly antithetic materials, desk FLY makes your personal working space a highlight. The integrated compartment made of high-class solid oak or walnut is accentuated by appearing to float in a transparent glass corpus. 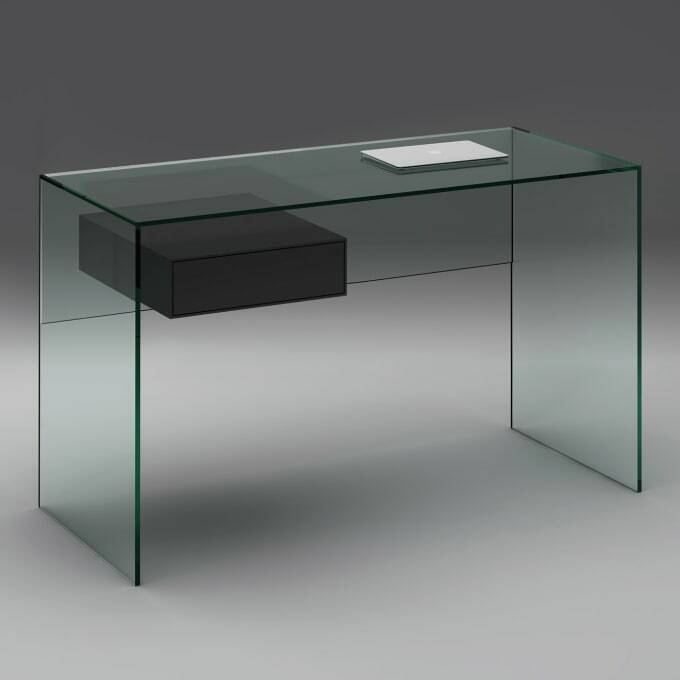 This design desk is highly convertible and can also be used as a dressing table. Do you have a question about "Fly 120"? How can we contact you?